We are proud to announce our new mission! 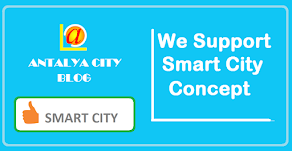 AntalyaCityBlog's New Mission will be to introduce people in the city of #Antalya to the concept of #SmartCity. Yet many people may not be aware of the next phase in 21st century surveillance grid; the 'smarter city'. 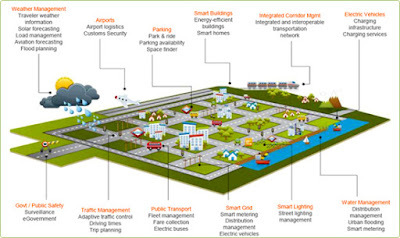 Why the smart city? The benefits of pursuing a smart city strategy are manyfold. Harvard Business School academics Rosabeth Moss Kanter and Stanley S. Litow have described a ‘smarter city manifesto’ in order to address the many problems facing city governments in particular . With a slant towards North American cities, the authors outline issues such as the silo-based structures governments ended up with at the end of the 20th century, combined with the inability of governments to stretch their services over the large sprawling distances and conditions of the contemporary city, a weakened civic leadership, and a focus on delivery rather than addressing the cause of problems (described as a lack of ‘strategic impact orientation’). A smart city uses information and communication technologies (ICT) to enhance quality, performance and interactivity of urban services, to reduce costs and resource consumption and to improve contact between citizens and government. Sectors that have been developing smart city technology include government services, transport and traffic management, energy, health care, water and waste. The European Union (EU) has devoted constant efforts to devising a strategy for achieving 'smart' urban growth for its metropolitan city-regions. The EU has developed a range of programmes under ‘Europe’s Digital Agenda'. In 2010, it highlighted its focus on strengthening innovation and investment in ICT services for the purpose of improving public services and quality of life. Experts estimate that the global market for smart urban services will be $400 billion per annum by 2020. Examples of Smart City technologies and programs have been implemented in Milton Keynes, Southampton, Amsterdam, Barcelona and Stockholm. As a fastest growing city in Turkey, Antalya may become a smart city. We strongly believe that Antalya can do it! So, our New Mission will be to introduce people in the city of #Antalya to the concept of #SmartCity and to ensure that people's demand for smart city technologies from the official authorities in Antalya.